What Three Tips Would You Share with Novice ESL / EFL Teachers? What three tips would offer new a ESL/EFL teacher? Hall Houston, author of Provoking Thought: Memory and Thought in ELT, posed this question to several prominent English language trainers and teachers last year. Sean Banville, Russell Stannard, Chia Suan Chong, Nik Peachey, Scott Thornbury, and myself replied. (Naturally, I feel grateful to be included with these far more notable and accomplished ELT educators.) Houston placed these practical, sometimes surprising, and often illuminating responses together in the back of his latest educational book The ELT Daily Journal: Learning to Teach ESL/EFL. Here are my three tips for novice English teachers working with English language learners. 1. Create Classroom Rituals – Beginnings and endings matter. Establishing clear classroom expectations and class rituals increase student comfort, establish a professional atmosphere, and improve student learning. One of my favorite classroom rituals is asking a personal question on the daily attendance sheet that re-enforces the day’s lesson, checks off a bureaucratic necessity, allows individual student expression, and builds group cohesion and student curiosity. Adding a relevant pithy quotation at the bottom adds another layer of engagement. 2. Encourage “Good Mistakes” – Since mistakes are both inevitable and part of the learning process, encourage students to take chances, stretch their English muscles, and make “good mistakes” in a safe, tolerant space. Good mistakes are common mistakes that we can learn from so we can go on to make new, different, and better “good mistakes”. Sometimes students allow the demon of perfectionism to paralyze them, and framing errors as “good mistakes” can reduce the fear and stigma around making errors so students can learn more by doing more. 3. Deploy YouTube (or other video channels) – The easy access to thousands of authentic materials on YouTube and other online channels makes teaching English easier and more satisfying than ever. Instead of just playing a single video clip in class, you can have high intermediate and advanced students find their own videos for homework and summarize them for classmates. “Search and share” homework assignments encourage student curiosity, develop critical thinking skills, and require students to speak as they describe and evaluate videos for classmates. The ELT Daily Journal provides over a dozen similar sets of responses in the appendix. Designed for new teachers, the simple format poses a question or provides a suggestion to stimulate writing about classroom experiences. Although I’ve taught for over two decades and seldom kept a formal teaching journal, I found it a quick, satisfying read that evoked some positive and a few awkward classroom experiences. Consequently, this book serves as a quick primer on best ESL/EFL teaching practices and core ELT principles. This thin, practical book has been added to my ESL/EFL library and professional development workshops. I look forward to sharing the book, especially with novice English teachers. I certainly wish I had read and used this journal when I taught my first English class so many moons ago. You might find it useful too. We all have classroom experiences as students or teachers. What advice would you offer to new ESL/EFL teachers? Why? Ask More. Know more. Share more. Speak more. The Language of Opportunity – Wabash profiles an English Teacher Homophones Can Confuse: A Minor Mistake in Miner Valley Teaching Matters: What Are Reasonable Standards for Listening Comprehension and Speaking Skills for ESL Students? Teaching Matters: Do Our Students Need to Swim in English or Pass Grammar Tests? David – Excellent point! 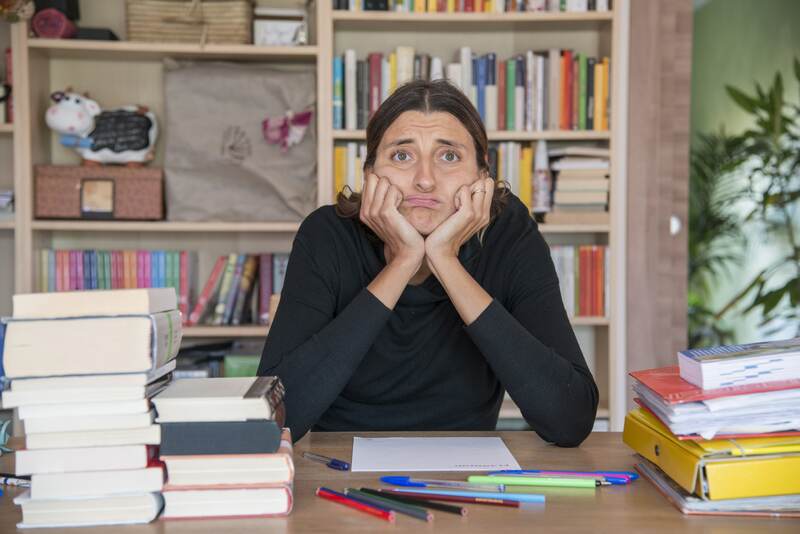 Amidst our own anxiety, far too many English teachers – both novice and experienced – forget to embrace (and often consider) the student perspective. Comprehension checks remain a crucial teaching skill, especially when introducing new or challenging material. For novice teachers, I agree that they should set the tone. First impressions last with students. There are some students who test new teachers. They should really be equipped with effective classroom management techniques. Paul – Good point. I learned the importance of classroom management in my first teaching position – so long ago – at Bed-Stuy Outreach High School. Hint: not everyone who enters a classroom is a future scholar. Building rapport with students is essential, but we must also provide explicit structure, clear guidelines, and consistently enforce a few fair classroom rules. And I share your belief that IELTS remains a far superior standardized exam compared to the TOEFL, especially for accurately assessing speaking skills in an authentic context. Thanks for stopping by. Brilliant tips here from your, They are very useful.Keep update more often. This site is quite interesting! I want to be part of the group. Is it possible?. Sure. We’ll be glad to add you to our newsletter list. Great article Eric and useful advice for new teachers. One of the biggest challenges I think new teachers (and also new teacher trainers) have is having realistic expectations of their students. Rome wasn’t built in a day, and little Johnny isn’t going to master English by studying for two hours a week. We still need to push our students to improve but not get disheartened by failure – see them as “good mistakes” instead! Ross – Thank you for those encouraging words and sharing your teaching experiences!